I Heart My Kinder Kids: Teacher Appreciation Giveaway! 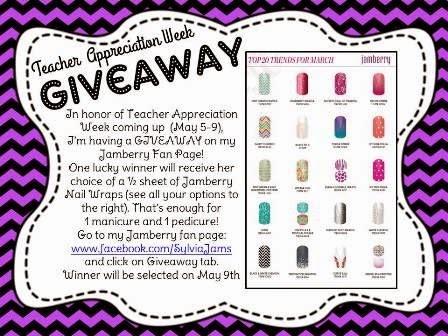 I am giving away a 1/2 sheet of your choice of Jamberry Nail Wraps! Giveaway ends this Friday May 9th so hurry and enter!